Welcome to the East Oakview Library! Welcome to a new school year! It is my hope that it will be a wonderful one for your child! Please use this website as a resource for your child. 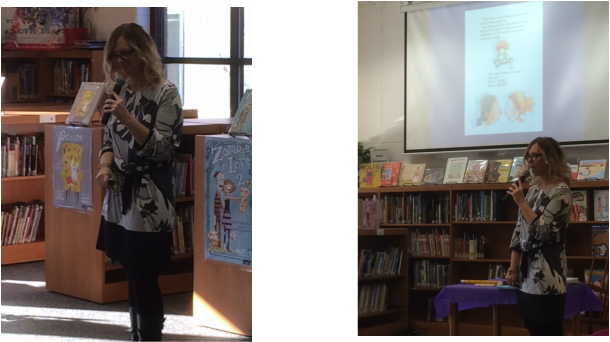 Information will be posted on this blog throughout the school year so that you can see what your child is doing in library class. There are, also links to author websites, book character websites and online magazines. Please like our Facebook Page (East Oakview Library) for pictures and announcements from the East Oakview library! Students Read, Evaluate and Vote! 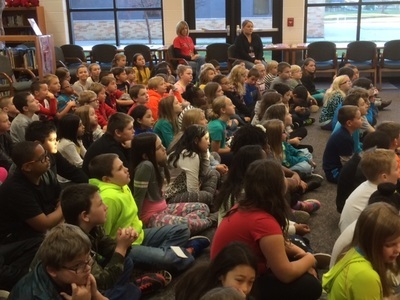 Students at East Oakview have been participating in "mock" committees to read, evaluate and vote on books. 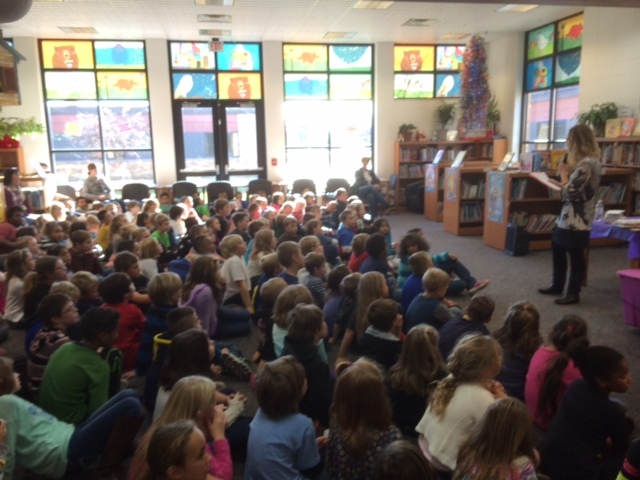 Kindergarten and first grade students have been participating in a Mock Geisel unit. 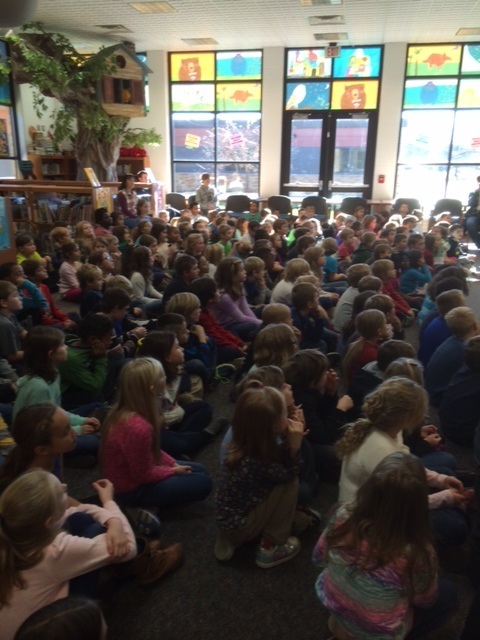 Second, third and fourth graders have been participating in a Mock Caldecott Unit. 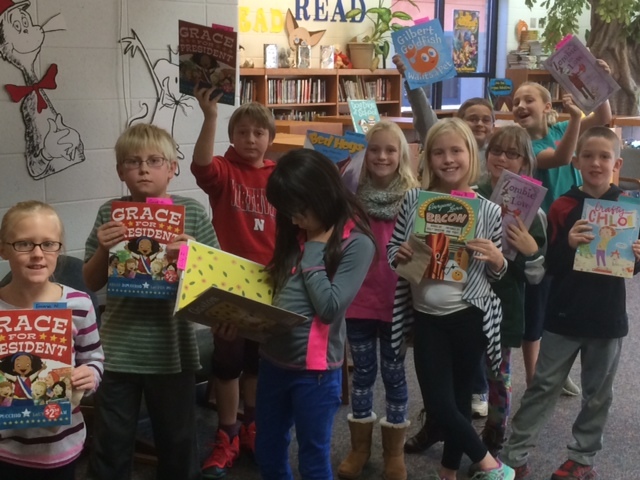 And 14 fourth graders participated in a Mock Newbery club. 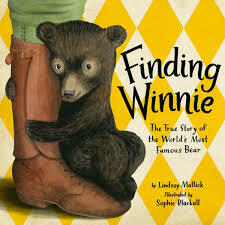 We have SO many awesome books in our library. It would be impossible to list all the amazing titles and authors that our students love. These titles, however, were the titles that were circulated the most this school year. CLICK HERE to watch a short video of these books. Enjoy! Here is a link to the most recent edition of Library News! Today was a great day! 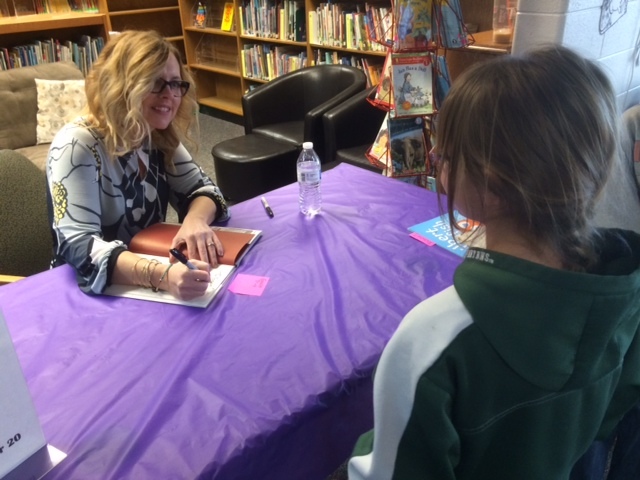 Bestselling author, Kelly DiPucchio spent the day with us! We had been preparing since the beginning of the year by reading and discussing her many books! The school and library were decorated and ready to greet Kelly when she arrived! Kelly spent with day with each grade level, talking about what it's like to be an author. Students had the opportunity to purchase copies of Kelly's books and could meet her and have their books signed. 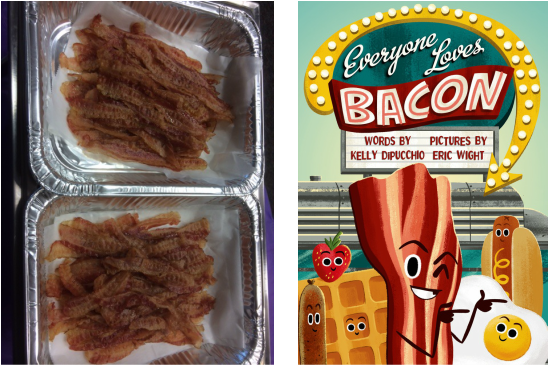 And because we love her book Everyone Loves Bacon​, we had....BACON! One of my favorite things about summer is having more time to read. I hope that you will have some extra time to read too. 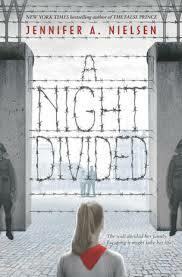 Please comment in the comment section blow this blog entry to tell me about the books that you're reading. I can't wait to hear about what you've been reading! Having a friend to share a book with makes reading even better! 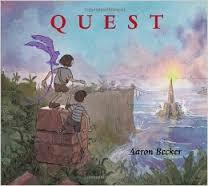 Last year, Journey by Aaron Becker was the winner of East Oakview's Mock Caldecott Award. You can imagine how excited we were when the second book in the trilogy, Quest, came out this fall. 1.) 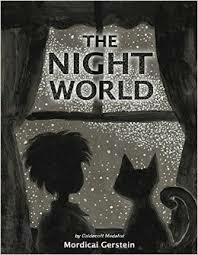 What do you like best about being an author/illustrator? 2.) 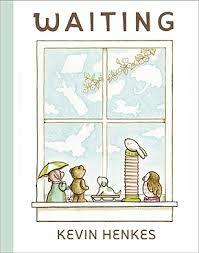 When did you know that you wanted to write/illustrate children's books? I started writing books when I was about eight years old, so it’s something I’ve always done. But Journey wasn’t published until I was about 38 years old. So it took me 30 years!!! 3.) What inspired you to write this trilogy? The architecture and places I wanted the girl to journey to. I drew a big picture of a castle one day and that’s where it all began. 4.) When you started writing Journey, did you already know that it would be the first story in a trilogy? Not at all, but once I was done, I realized I had created this whole world with lots of other things going on that never made it into the final book. I wrote out the general stories for the 2nd and 3rd books at the same time, so the trilogy was planned from that point forward. There’s lots of cool stuff still to come! 5.) How did the girl and boy get the red and purple markers at the beginning of Journey? Great question! And there is an answer! There’s a long back story about where the six colored markers come from and it involves an elder king and his three sons and the purple bird. And a black marker. And a white marker. Some of this will be hidden as backstory in Return but you really have to dig for it! But the markers make their way into our world so that someone in the fantasy realm won’t find them and use them for evil. It’s a much longer story as to how the girl and boy actually end up with them! 6.) Can you give us a hint: What will the setting be of Return? Will there be any new characters? The story still takes place in Pallonezia near the castle, but there’s some new underwater stuff and a cave. There are no brand new characters, but let’s just say that a character we met in Journey (briefly) comes back to play a much larger roll. 7.) What are your writing plans after Return? I have no idea! I’m thinking of working on a book with words in it. Maybe something with all of the backstory I’ve developed for the Journey Trilogy but in a middle-reader format, like a lost journal with pictures. But I also have some non-Journey related ideas too! 8.) What was your favorite book when you were a child? The Art of Star Wars by Carol Titelman. My copy is completely demolished from so many readings. Thank you so much for taking the time to answer theses questions. We appreciate you and your books very much!!!! ﻿I sure hope that you're going to be reading this summer. Summer is a great time to catch up on those books you've been wanting to read. 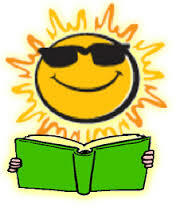 I know that I love summer because I have extra time to read....and I can't wait to share my reading with you! You can see what I'm reading by checking into this website. 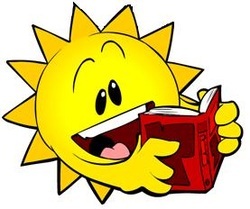 Have a great summer...and Happy Reading! I'm Mr. Stroh and I'm in my 28th year of teaching for the Northview Public School district. 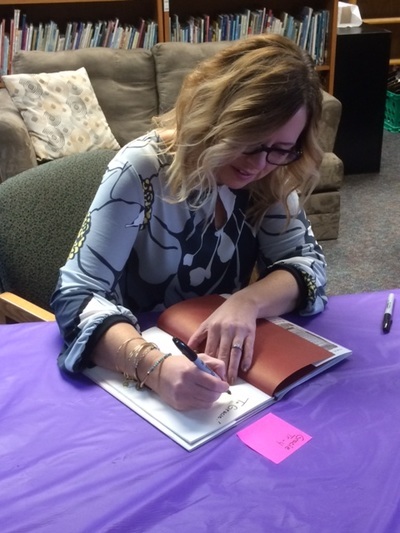 This is my second year as the librarian at East Oakview. My goal is to find the perfect book for each student. In addition to reading, I love camping, spending time with my family and the Detroit Tigers!